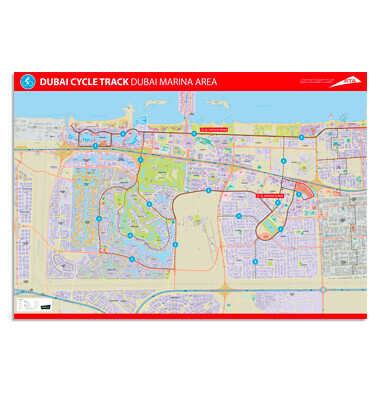 Explorer created a sophisticated Masterplan of Dubai’s much-loved, and official cycle routes. Working with expert cartographers and designers, the city’s fantastic bike routes and locations are mapped out and depicted in a clear, well-designed format. Promoting all the newest routes and directions, this map is a cyclist's dream in a city better known for its fast cars and multi-lane highways.